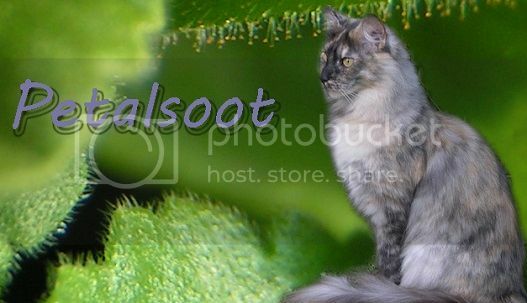 Appearance: Fluffy gray tabby she-cat with deep green eyes. 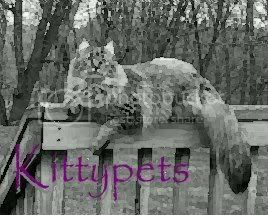 With a cream under coat and slate gray stripes covering her pale gray pelt, she is a beautiful sight. When standing in the sun light her fur shines, attracting one’s gaze. But don’t under estimate her, beneath her elegant looks are rippling muscles, kept in shape from endless hour of exercise. Personality: It is important to Safira to stay strong, in case of an emergency. Formerly being a part of ClawClan, it taught her to expect the unexpected, and to be ready to react to any surprises. She’s not afraid to speak her mind, and doesn’t care what other think of her. Cats usually just stare at her due to her pelt, but do they think about her personality, how she feels, or what she’s like? No. And that annoys her so much that she sometimes breaks and lashes out, with teeth, claws, and words. Appearance: Dusty brown spotted she-cat. Sleek and slender. Has deep amber eyes. 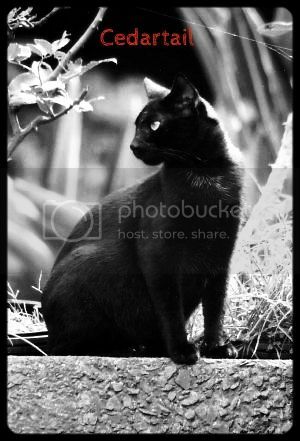 Personality: Tomu is a regal and sometimes arrogant cat. Spoiled rotten by her twolegs. Not always easy to get along with. Picture: Bark, in all his loony glory. Personality: Bark is absolutely nutters. He thinks he is a dog, and swears he can speak their language. He is almost constantly laughing, staggering around with his companion, Futz. He likes taunting other cats, chasing after them and barking wildly. He frequently tries to make jokes, but almost always forgets the punchline before he finishes. He is a tad smarter than Futz, or so he thinks, as Futz is constantly losing his collection of pinecones. Bark, however, keeps his collection of old beer bottle caps (He calls them his students, and teaches all he knows to them) between his toes, where they'll never get lost. History: He travels with Futz, moving from place to place, occasionally eating out of kittypet houses. He can never remember a life before Futz, really. Both of them travel as equals, learning from and teaching each other the ways of insanity. All the more reason I'm glad I'm not a kittypet. 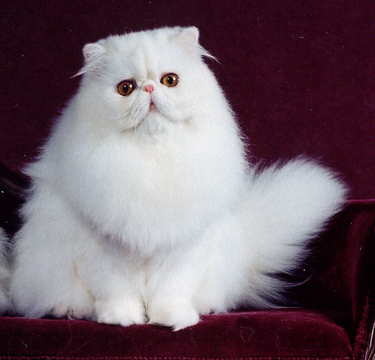 Apperance: Long haired white Persian with copper eyes. Personality: Fluffy is vain and very prissy. She hates being dirty. 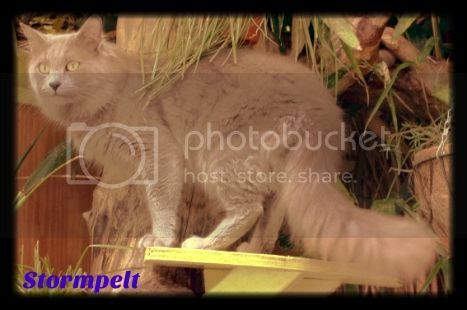 She was a champion show cat before she bit a judge and ended up as a kittypet.